There’s plenty of brands, especially gin, that attempt to cause a stir upon their arrival. Some fall flat, most succeed. However, crossing over from a bartenders favourite to the actual buyers of the brand, the customers, can be a difficult task. I’ve seen many brands become a ‘must-use’ within recipes or signature serves, but that doesn’t necessarily mean that the customer will be convinced to depart with their saved pennies. You see, it takes research, knowing your audience ultimately, to really hit the mark with a new product. Wednesday 4th June saw one such brand of gin reap the benefits of such development – Sibling. 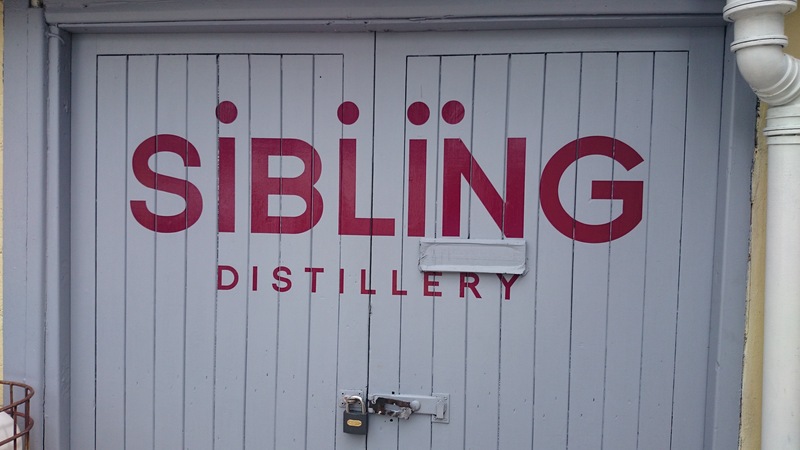 The Battledown area of Cheltenham, England is the home of Sibling Distillery, a venue I have had the pleasure of visiting to learn a little more about the ins and outs of this family owned venture. Oh, and the ages range from 15 to 22 years. Who says you need to be old and wise to create a spirit? The team of Clarice, Digby, Felix and Cicely, aka the Elliot-Berry clan, have used a combined total of 30 years experience within the hospitality trade to launch Cheltenham’s first ever commercially available gin. Growing up around their parents love of beer, or more precisely the family owned Battledown brewery, the craft creation has always been in the blood of the siblings. 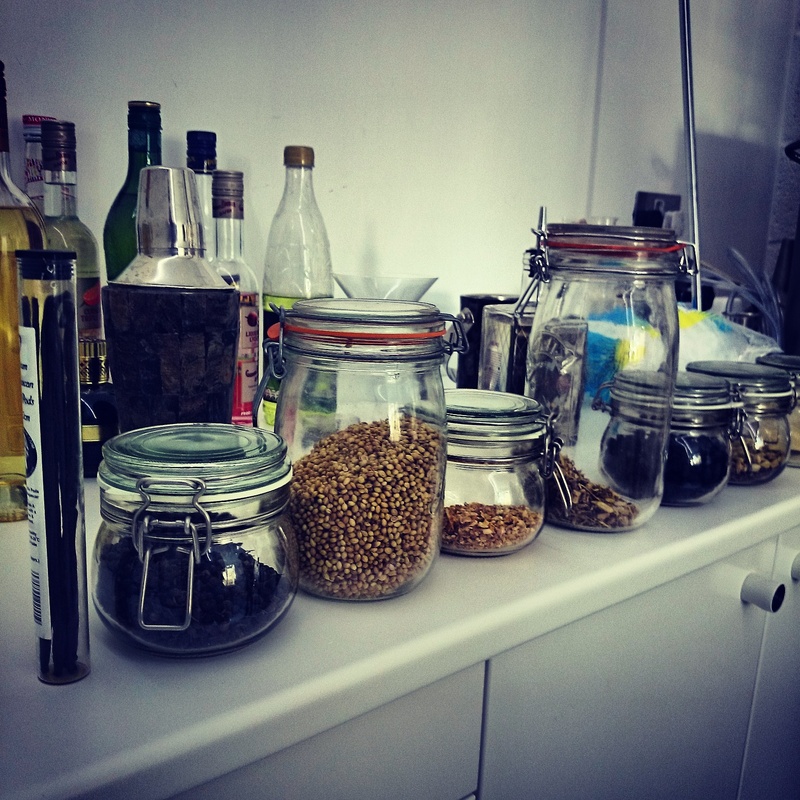 The start of the gin journey though can be culminated through to one stand-out point; perfume. Clarice’s love and enthusiasm to enter the world of perfume creation indirectly started the road to Sibling gin, as her nose of the best botanicals brought together a harmony of flavours that would ultimately define Cheltenham’s foray into the spirits market. With Cicely tending bar at weekends and Felix working a full-time job with a design company, they were able to understand the market better, working out the flavours most associated with customers through a variety of concepts, as well as testing the boundaries with ideas that would stand out amongst all others. All three turned down the offers of university to focus on the distillery, with Digby, the youngest at 15, set to join once he finishes school. Cicely, my guide for my visit, said herself that she has always wanted to run her own business, departing away from the more usual answers like hairdressing when looking ahead in life. Back onto those flavours. One aspect that impressed me the most is that cost doesn’t matter. If the vanilla pods are not the best they can source, then it won’t be used. Ultimately, Madagascar offer such a variety that is worthy of being included in the recipe, despite not being the cheapest available. The same can go for the juniper berries, lemons, blueberries and oranges. Even the bottle had a look in, more on design over cost. When was the last time you heard someone say “I would like this, this and this laid out this way with these over it”, then ask for the cost? Oh, and then think that cost does not matter and to sign it off for production? It’s a rarity. From these statements, you’re probably expecting Sibling gin to be rather expensive, but to be honest, it’s really good value for money. To see the work that goes into the production of Sibling gin, you’ll be hard pressed to find someone who wouldn’t mind giving this new spirit a go. Have I also mentioned that it’s rather unique too? The story just gets better as they produce within their crystal distillery, a stunning revolutionary design made of glass and steel, ultimately the first of its kind in Europe. 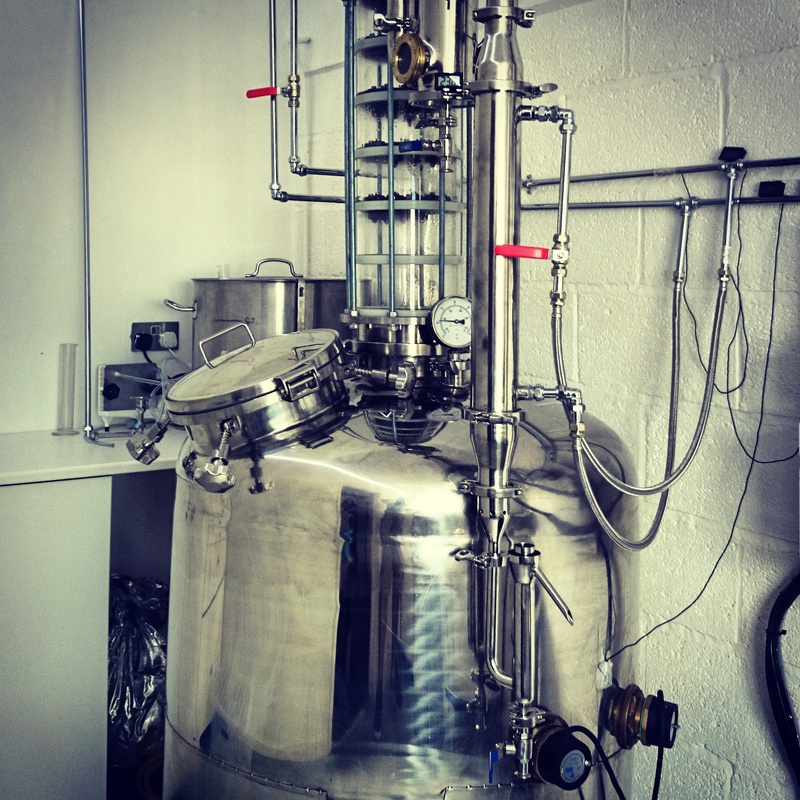 This allows them to monitor, observe and improve the gin at every step of the 12ft tall piece of stunning machinery. The botanicals are held in a woven basket (carter head) during the vapours descent to the condenser, which within this giant piece of what looks like Mecanno, offers the ultimate flavour experience desired by the siblings. The eight hour, three times distilled process of neutral grain spirit, which they create themselves, goes against most producers option of purchasing ready-made neutral vodka. But again, the attention to detail and the desire to not cut corners when creating the ultimate gin really shines through. 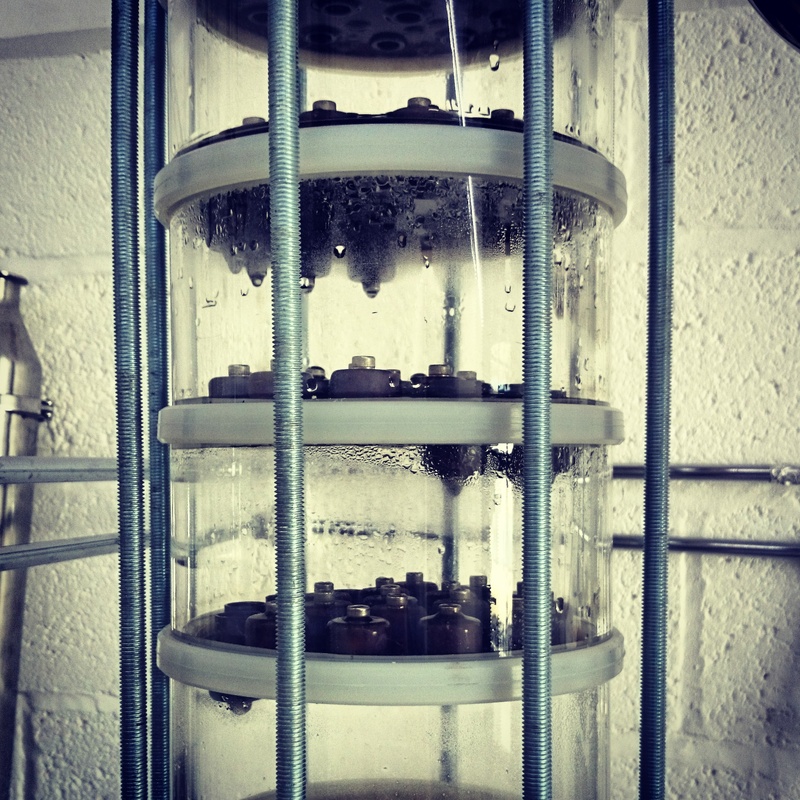 Local water filtered through a layer of Fuller’s Earth in Cheltenham is used to reduce to the strength of 42% abv. Smooth, rich vanilla notes on the nose, with a slightly sweet orange hit on the finish. The vanilla kicks off the palate, but soon develops the rest of the botanicals. Slightly dry, but the vanilla and blueberry offers a smooth, bold and ultimately fresh offering. Well-rounded with a slight sweetness creates a long experience. Their winter edition, released in 2016, that see’s Sibling Gin infused with Cranberries and Clementine peel. Soft notes of the cranberry skin come through upon the nose, with the clementine taking over once the palate approaches. Fresh, with the suspected bitterness arriving slowly. A long, warm finish, with the soft vanilla notes of the gin coming through. A genuine cracker. The use of vanilla offers a different perspective to the category, and creates a gin that’s worthy enough to be drunk neat, or within a cocktail. Combine the lemon, rose water and lavender with Sibling Gin in an ice filled glass and stir. Serve with fresh mint. 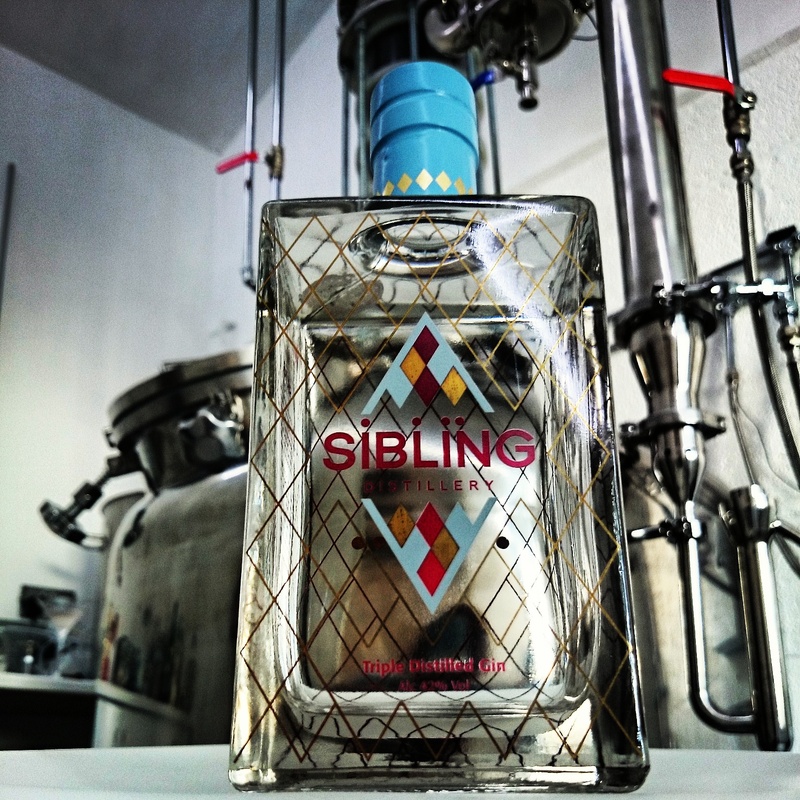 Sibling gin has offered the world something a little different. Even the way they are marketing it to customers is an intriguing way to look at it. No release of any kind until only a few weeks before the launch date, and the launch itself attended by the public, instead of the usual trade only you see these days. They are also organically growing, with no push into London yet unless called for. To be fair, they can only create around 180 bottles a week. I’d rather give them a chance and create me something I’d enjoy, than cut corners just to meet with demand. Either way, one to definitely make room for in your drinks cabinet, and to impress your friends with know you know how unique Sibling Distillery really is.